Waste management giant EnviroServ is again looking to discharge contaminated storm water from its contentious Shongweni landfill into the ocean. The company filed a motion with the Gauteng High Court on 2 June asking that it urgently review and set aside eThekwini Municipality’s failure to approve its application to tanker contaminated storm water (CSW) from the landfill to the Southern Waste Water Treatment Works (SWWTW). The papers were filed in Gauteng, according to the company, because its Germiston head office falls within the court’s jurisdiction. Previous appearances at the Durban High Court and Durban Magistrate’s Court for the civil and criminal cases the company faces have been met with protests from community members from areas near and around the landfill, with the company’s CEO being verbally lambasted by irate residents during a Magistrate’s Court appearance. Communities contend that a “toxic stink” experienced in the area since November 2015 is being emitted from the landfill and is responsible for a range of ailments, with children being particularly badly affected. Noseweek broke the story over a year ago and has been following it since (see Noses 199, 200, 203, 204, 205, 210 and 211). In her founding affidavit – a copy of which is in Noseweek’s possession – EnviroServ’s technical director, Esme Gombault, contends that the contaminated storm water needs to be discharged via the SWWTW to avoid an “environmental disaster”. Using the SWWTW was a “safe, practical way to alleviate the crisis at Shongweni,” according to Gombault. The company was ordered to discharge its leachate from Shongweni off-site by the Durban High Court on 26 April in the aforementioned civil case brought by the Upper Highway Air non-profit (UHA). EnviroServ fired its attorney soon thereafter. Since that ruling, the company had been storing, treating and disposing its CSW on site, according to Gombault, and trucking its leachate to its Holfontein, Johannesburg, site, “to maintain freeboard in the storm water dams”, but this was “becoming increasingly unsustainable” and had led to “an increasingly desperate situation on site”, according to Gombault. The company approached eThekwini to have its treated leachate and contaminated CSW disposed of at the SWWTW in April and May but was told it needed to submit a new application seeking permission to do so. Gombault said it appeared that the “high profile difficulties” of the landfill had led to the municipality “placing unnecessary hurdles in EnviroServ’s path”. Other private entities have also refused to take the company’s liquid effluent, she said. In late May, officials from the SWWTW visited the landfill and took samples of CSW and leachate to determine if they complied with by-laws. According to Gombault, the quality of the leachate had worsened by this time (thanks to the High Court ruling), and the company was advised by SWWTW to only make application to dispose of CSW, which it did on the same day. Two days later, SWWTW officials told the company they could not consider the amended application until the original application had been formally withdrawn. The company wrote to the metro saying its original application no longer applied and the new application was the previously amended one (only looking to discharge CSW). No permission had been granted at the time of filing the papers, according to Gombault. “Therefore, there is an on-going risk that, if this honourable court does not grant the relief sought, there will be an environmental disaster in the form of the spilling of leachate and/or the contaminated storm water into a small stream which forms part of the south eastern property boundary and is below Valley 1 and 2. It is a tributary to the moShongweni stream which ultimately flows into the Umlaas river system in the surrounding area,” according to Gombault. “Even without rain, the levels of the contaminated storm water dams and leachate storage tanks will continue to rise simply by virtue of the fact that the site generates leachate on an on-going basis and the leachate dams will overflow into the storm water dams if they overflow. Gombault said that there were holding dams between the leachate tanks and storm water dams, but should the leachate overflow, there was a “very strong likelihood” that leachate would spill into the contaminated storm water dams, making it harder to treat. Should the dams fill any more from leachate overflow or rain, they might spill into the river system, she said. Should the waste be accepted by SWWTW, the company would have more storage capacity for its leachate, would be able to treat the stuff in its leachate treatment plant “and be able to cope with our leachate volumes at Shongweni”. It would then not have to transport the effluent by road to Holfontein and risk accidents, nor impact its Gauteng customers due to increased traffic, said Gombault. 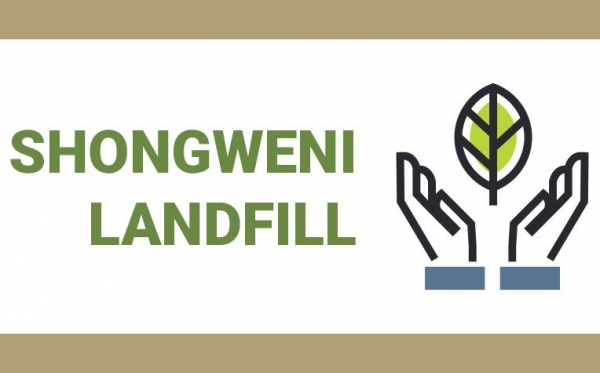 In September last year, the Department of Environmental Affairs (DEA) ordered EnviroServ to dispose of its leachate and CSW off-site as part of an 11-point-plan designed to mitigate the malodour in the Shongweni area. Twenty-seven thousand cubic metres was set to be dumped via the SWWTW until communities in Durban south got wind of the situation and, with Shongweni residents in tow, came down hard on the Department, municipality and EnviroServ. In October last year, the company again applied to the municipality to discharge its liquid effluent through the treatment works, without luck, even when the effluent, according to Gombault, complied with by-laws. Gombault’s application does not say how much CSW it is seeking to discharge, and the company still will not disclose exactly how much leachate or CSW it generates per month.